The Hato K One by Soomook is a high end regulated device that is powered by the impressive ST chipset. 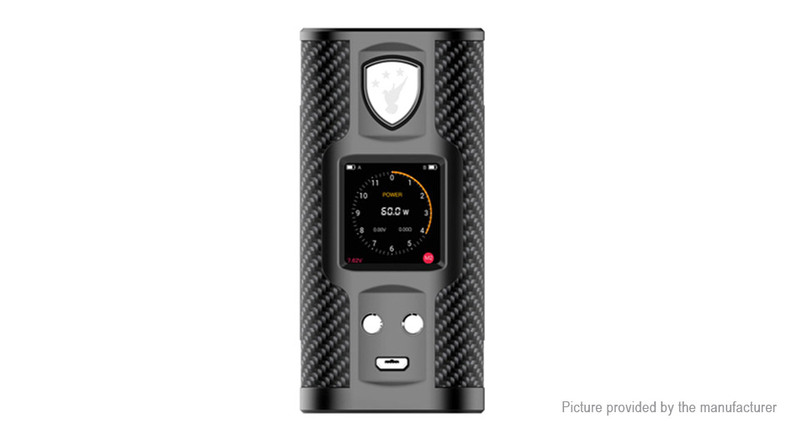 The body is constructed from premium zinc alloy and clearly displays all pertinent vaping data in a crisp, 0.96" TFT IPS HD screen. The K-One offers different firing types such as soft, standard, flavor, and powerful and offers full temperature control functionality with support for the following wire types: SS316L, Ni200 Nickel, and Titanium. Temperature can be controlled with a range of 200&apos;F – 600&apos;F with its advanced ST chipset. The ST chip is capacity of downloading firmware updates to make sure that your device is always up to date. This impressively powerful chip offers a maximum power output of 238 watts. This chipset also offers on board protections such as over voltage, low voltage, high temperature, low resistance, short circuit, and reverse polarity.